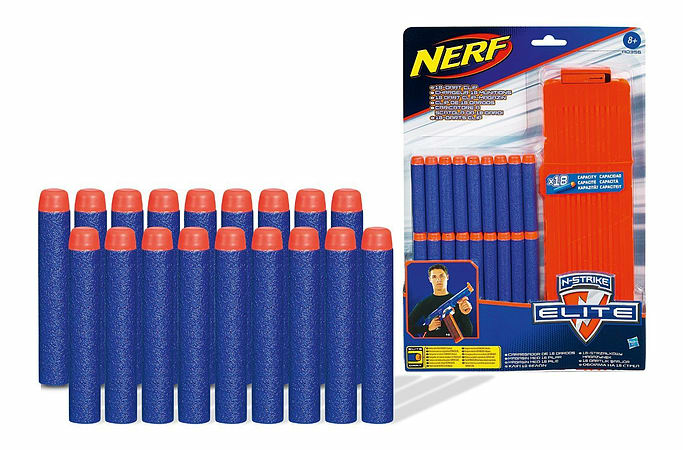 N-Strike warriors lose when they run out of Darts, so load up on firepower with this 18-Dart Quick Reload Clip! The Clip works with any N-Strike Elite blaster (sold separately). 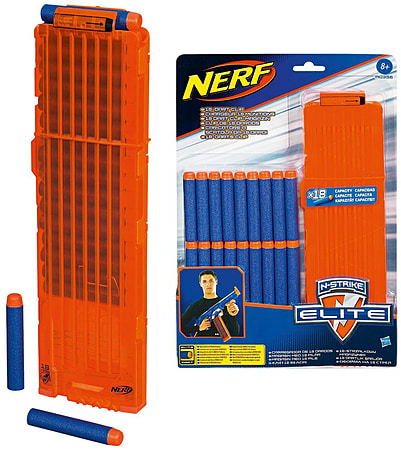 Load the Clip with the included 18 N-Strike Elite darts so you're locked and loaded for the next mission!